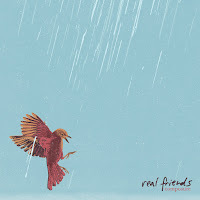 Home / real friends / reviews / Review || Real Friends - "Composure"
Review || Real Friends - "Composure"
A lot of pop punk bands have been more or less catching my attention for the past couple of years. Real Friends is one of those bands and reviewing their new record, "Composure", which is released through Fearless Records on July 13th of 2018, seems like a good way of getting to know them much better. Pop punk may seem like a very blatantly self-explanatory sub-genre of punk rock, but I assure you that in the year 2018 it really isn’t. I will not bore you with analytics and theories. Let’s just say that Real Friends weigh much heavier on the pop side of punk, as much as they do on the rock side of punk rock. Personally, this combination is usually not an intriguing one and that is probably why Real Friends haven’t really had a heavier rotation for me with previous records. So, what about "Composure", the bands third LP in merely four years? If you read through every press sheet for any band’s new record you may think that what you are about to listen to is going to be groundbreaking and much better than any preceding work. In essence not much has changed for Real Friends in terms of synthesis and song approach; not a lot of new things or shady experiments come up while going through the new record. This is not necessarily a bad thing. Dan Lampton’s vocals are the most distinctive attraction of Real Friends and his melodies are what attract so many fans to their music. The catchy guitar leads and the groovy drum parts are all there and for the most part work nicely on "Composure". Out of the ten total songs on the record, I feel less enthusiastic for just a couple, namely "Stand Steady", the title track and maybe "Ripcord" while the songs that stand out the most are "Me First", "From the Outside" and "Get By" -kudos to the band for deciding well on which tracks to choose for promoting the album. What I definitely don’t like as much on "Composure" - and didn’t expect - is the audio production itself. What we have here is a great collection of songs by a very established band, a collection though that is unbalanced in its official presentation to the public; where are the guitars? Minus points on that piece of the effort. On the other hand, plus points on the overall artwork and album aesthetic. I’m left somewhat satisfied with my deeper acquaintance with Real Friends and their new endeavor, "Composure". I would be lying though if I didn’t say that I expected more. Time to listen to some Rationale now.